Posted by Calvin on RFTH: April/May (much death); 11th Anniv. 555 Wedding Invitation! Thanks to Calvin: posted this information on Rapture Flight to Heaven ---Calvin always posts very interesting comments on bible prophecy. April/May (much death); 11th Anniv. 555 Wedding Invitation! ...Planetary Alignments: Fact or Fiction? ...at 8:08 UT (2:08 am EDT) on May 5, 2000. ...visible. Ecliptic grids are 5° apart. TO: May 4-5, 2011 – 11th Anniv., "555 Marriage Announcement"
WARNING. As we know, the number “3” means "resurrection"
Sign from "belly of Draco" - no more warnings!!!! It’s sort of like you call someone and they don’t call back. OK, we get the picture. world because they don’t blend in. God knows to whom the “Wedding Invitation” is important. "judgment and chaos" or the TRUE "the meaning of 11". A PLACE WITH THE UNBELIEVERS. I believe a "separation" is now coming VERY SOON!!!!!!!! mistreated them and killed them. those murderers and burned their city. as the good, and the wedding hall was filled with guests. noticed a man there who was not wearing wedding clothes. clothes, friend?’ The man was speechless. they can immediately open the door for him. to give them their food allowance at the proper time? entrusted with much, much more will be asked. Disclaimer: Rapture Forum, does not necessarily endorse or agree with every opinion expressed in every article posted on this site. We do however, encourage a healthy and friendly debate on the issues of our day. Whether you agree or disagree, we encourage you to post your feedback by using the reply button. Come and share with other Christians in these last days the bible speaks of. Re: Posted by Calvin on RFTH: April/May (much death); 11th Anniv. 555 Wedding Invitation! 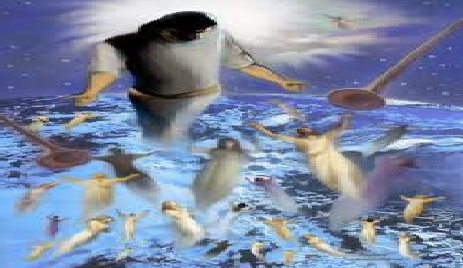 "And there will be signs in the sun, in the moon, and in the stars; and on the earth distress of nations, with perplexity, the sea and the waves roaring; 26 men's hearts failing them from fear and the expectation of those things which are coming on the earth, for the powers of the heavens will be shaken. 27 Then they will see the Son of Man coming in a cloud with power and great glory. 28 Now when these things begin to happen, look up and lift up your heads, because your redemption draws near." Then He spoke to them a parable: "Look at the fig tree, and all the trees. 30 When they are already budding, you see and know for yourselves that summer is now near. 31 So you also, when you see these things happening, know that the kingdom of God is near. 32 Assuredly, I say to you, this generation will by no means pass away till all things take place. 33 Heaven and earth will pass away, but My words will by no means pass away. "But take heed to yourselves, lest your hearts be weighed down with carousing, drunkenness, and cares of this life, and that Day come on you unexpectedly. 35 For it will come as a snare on all those who dwell on the face of the whole earth. 36 Watch therefore, and pray always that you may be counted worthy to escape all these things that will come to pass, and to stand before the Son of Man." 37 And in the daytime He was teaching in the temple, but at night He went out and stayed on the mountain called Olivet. 38 Then early in the morning all the people came to Him in the temple to hear Him.